Rainforest Trust and its partners have enjoyed a number of successes lately. In early November, they announced the creation of a 3.3 million-acre national park in the Peruvian Amazon. That is more area than Yellowstone and Yosemite National Parks combined (Rainforest Trust, 2015b). Now they have teemed up with Fundación ProAves to extend El Jaguar Reserve in Colombia. As with most of the Amazon, El Jaguar Reserve is a hotbed of biodiversity. It is home to jaguars, tapirs, giant anteaters, giant river otters, and a whopping 295 species of birds (Fundación ProAves). Thanks to Rainforest Trust and Fundación ProAves, all of those animals just received an additional 5,421 acres of protected habitat. That brings the total size of El Jaguar Reserve to 10,326 acres (Rainforest Trust, 2015a). This is an important victory for jaguars. Colombia is a vital part of their range, because it contains biological corridors that connect Panthera onca populations in Central and South America. 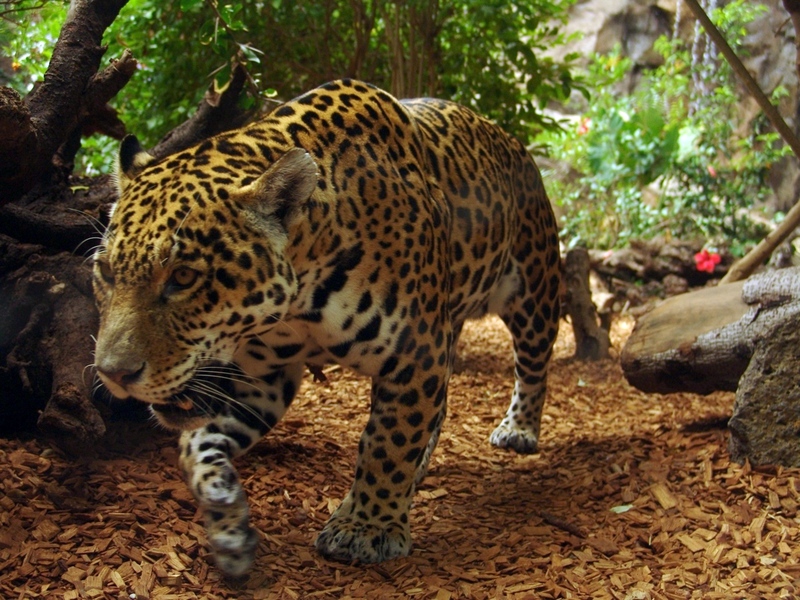 These corridors allow jaguars to travel between the two regions, thereby maintaining the species’ genetic diversity. But this news is also a victory for the planet. The Amazon rain forest is one of the most biologically diverse habitats on earth, as well as a massive carbon sink. Additionally, it is home to many endangered and unique human cultures. Therefore every acre of Amazonia that is protected is a step in the right direction. Click here to view Rainforest Trust’s original article. You can also follow this link to learn more about El Jaguar Reserve. Yes it is! Good news for the Amazon is good news for all of us. That’s one reason I’m crazy about jaguars: protecting them benefits some of the most critical ecosystems on Earth.